A Bollywood music giant just overtook controversial Swedish vlogger PewDiePie at the top of the YouTube channel subscribers chart in a new landmark for India’s digital rise. T-Series became the first non-English-language channel to hold top spot on the world’s most popular video platform as smartphone ownership soars in the country of 1.25 billion people. “We’re very excited, for the organisation and for India. 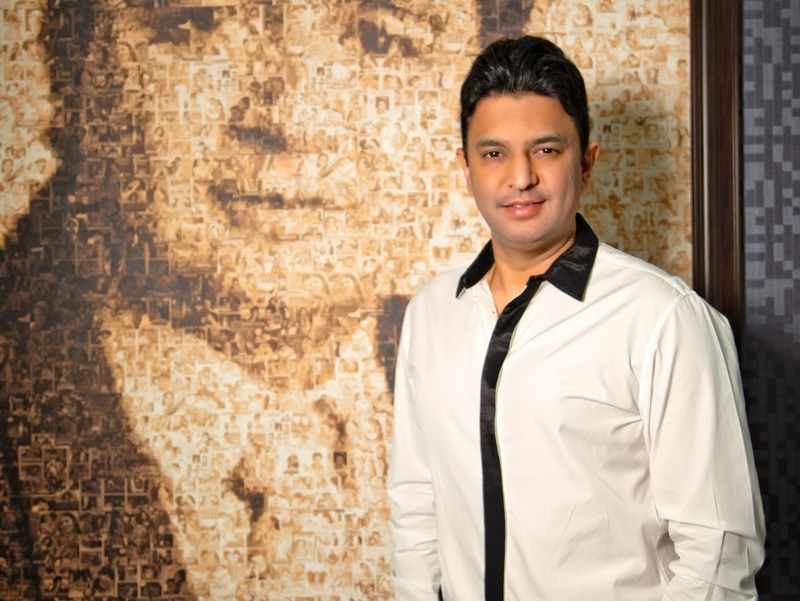 An Indian channel becoming number one is a big compliment for the entire country,” T-Series chairman Bhushan Kumar said. Few outside the Indian diaspora will know T-Series’ typically upbeat song and dance videos, but they are already the most-watched on YouTube. They have been seen more than 53 billion times, again beating PewDiePie — whose videos have notched just over 19 billion views — as well as Justin Bieber and Taylor Swift. The Swede, whose real name is Felix Kjellberg, has had the highest number of subscribers for five years during which he has regularly been in hot water over his videos. In September last year he apologised after he was heard using a racial slur in an expletive-laden rant against an opponent while playing a live-streamed computer game. Earlier in 2017 he lost contracts with YouTube and Disney over anti-Semitic comments. He was temporarily blocked from Twitter in 2016 after joking he had joined Daesh. 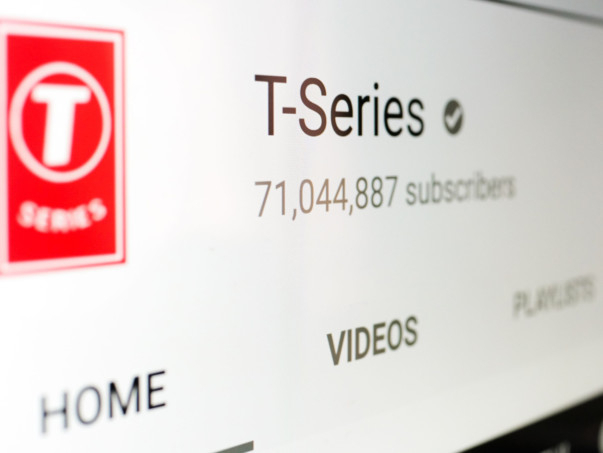 With T-Series rapidly closing in, fans of the Swedish gamer have rallied to push up his subscriber numbers in recent days but that will likely only delay the inevitable. On Monday, both had more than 71 million subscribers. T-series was ahead by around 202,000. “It will give us recognition all over the globe,” chairman Kumar said. The company, one of India’s biggest record labels, operates 29 channels in Hindi, Tamil, Punjabi and other languages. It also airs health fitness videos and children’s cartoons. T-Series was founded by Kumar’s father, Gulshan Kumar, in 1983. He was a fruit juice seller who started selling Bollywood music cassettes and became a legendary Hindi film music producer, enjoying massive success with the soundtrack to the 1990 film ‘Aashiqui’ (Romance). He was murdered by Mumbai mafia members in 1997. As well as producing music videos, T-Series also buys film soundtracks and collaborates with artists around India, providing a platform for their content. Its most-watched music video is Guru Randhawa’s ‘Lahore’, which was uploaded in December last year and has been viewed almost 620 million times. Kumar refused to say how much money T-Series makes from YouTube but Bloomberg News reported recently that the site accounts for around a quarter of its annual sales, which are about $100 million (Dh367.2 million). T-Series started posting videos on YouTube in 2011. By October 2016 it had around 12 million subscribers and total hits of 11 billion, according to Social Blade, a website that tracks YouTube viewership. That month, India’s richest man, Mukesh Ambani, rolled out a new 4G network called Reliance Jio. He offered bargain-basement data plans, sending shockwaves through India’s telecoms market. T-Series’ views rose quickly before skyrocketing this year. In January, subscribers were at 31 million while its views reached 29 billion before soaring to 71 million and 53 billion respectively now. “People say it’s a successful channel because data is more or less free. It’s not that. There are so many channels in India but we are becoming number one because of great content,” said Kumar. Mobile internet users in India have increased from around 306 million in October 2015 to 478 million in June 2018, according to the Internet and Mobile Association of India. And with millions more Indians still to buy their first smartphones, the country’s YouTube channels are going to keep hitting new heights. “It’s increasing day by day. The sky is the limit,” said Kumar.